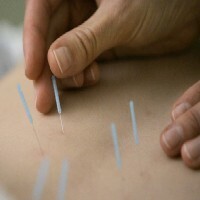 Acupuncture is an alternative to traditional medicines and involves the use of very thin needles which are inserted gently into the skin at various pressure points throughout the body. While there may be discomfort in the form of pressure, warmth or a tingling sensation, it is not painful and does not hurt your baby. Women who are pregnant with a baby in breech usually give birth via a caesarean section. A painless heat treatment with moxa (specific acupuncture therapy) can help to turn the child around the 34th week of pregnancy, giving you more chance of a natural birth. Scientific research has shown that the turning probability is increased from 50% to 75% by moxatherapy. You can treat up to the end of the 36th week (sooner is better). Acupuncture can help in preparation for labor by relaxing tendons and muscles, adding energy and reducing tension. Treatment starts from the 36th week and takes place once a week. Acupuncture can help initiate childbirth. You get a treatment at the beginning of 42nd week. Usually one treatment is sufficient to start the contractions within 2 days. Pressing acupuncture points can contribute to pain and stress control during childbirth. You can get an acupressure course with your partner or childbirth companion at an acupuncture practice.